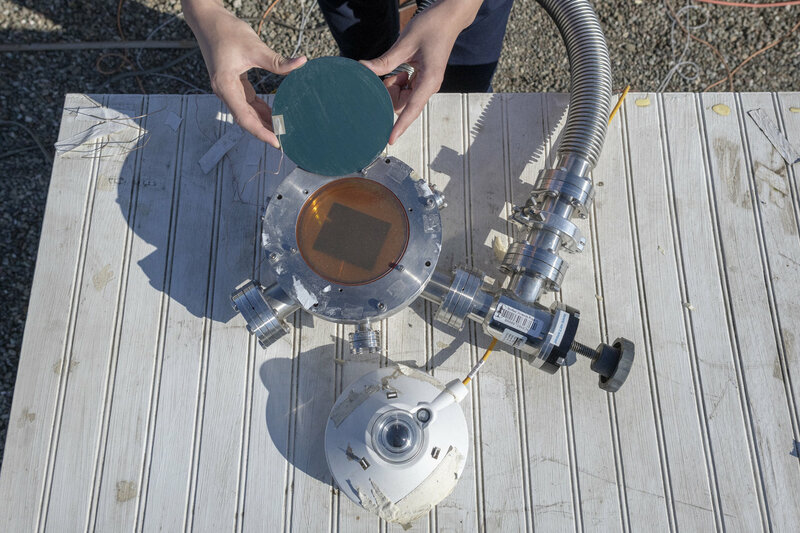 Scientists at Stanford University have demonstrated for the first time that heat from the sun and coldness from outer space can be collected simultaneously with a single device. Their research, published November 8 in the journal Joule, suggests that devices for harvesting solar and space energy will not compete for land space and can actually help each other function more efficiently. Renewable energy is increasingly popular as an economical and efficient alternative to fossil fuels, with solar energy topping charts as the worldwide favorite. But there is another powerful energy source overhead that can perform just the opposite function—outer space. "It is widely recognized that the sun is a perfect heat source nature offers human beings on Earth," says Zhen Chen, the first author of the study, who is a former postdoctoral research associate at Stanford in the group of Shanhui Fan and is currently a professor at the Southeast University of China. "It is less widely recognized that nature also offers human beings outer space as a perfect heat sink." Objects give off heat as infrared radiation—a form of light invisible to the human eye. Most of this radiation is reflected back to Earth by particles in the atmosphere, but some of it escapes into space, allowing surfaces that emit enough radiation within the infrared range to drop below the temperature of their surroundings. Radiative cooling technology reflects copious amounts of infrared light, providing an air conditioning alternative that doesn't emit greenhouse gases. 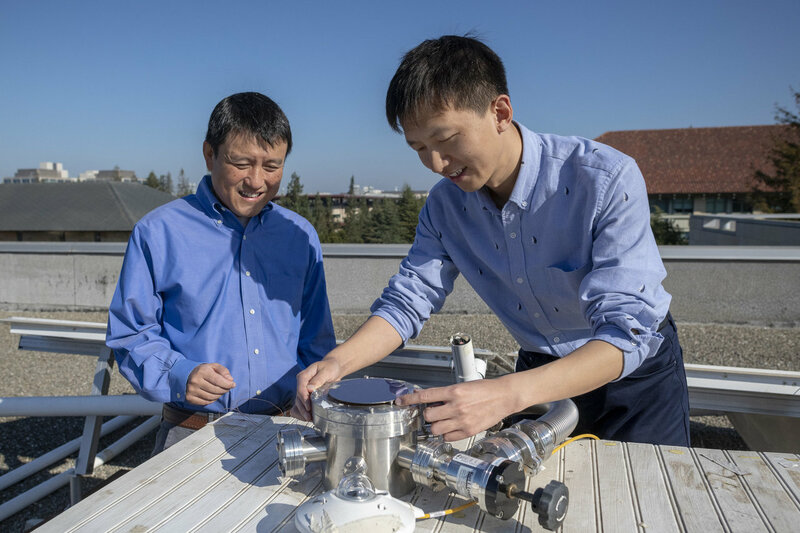 It may also help improve solar cell efficiency, which decreases the hotter solar cells become—if only the two technologies can coexist peacefully on one rooftop. Chen and his colleagues developed a device combining radiative cooling with solar absorption technology. The device consists of a germanium solar absorber on top of a radiative cooler with silicon nitride, silicon, and aluminum layers enclosed in a vacuum to minimize unwanted heat loss. Both the solar absorber and the atmosphere are transparent in the mid-infrared range of 8-13 microns, offering a channel for infrared radiation from the radiative cooler to pass through to outer space. 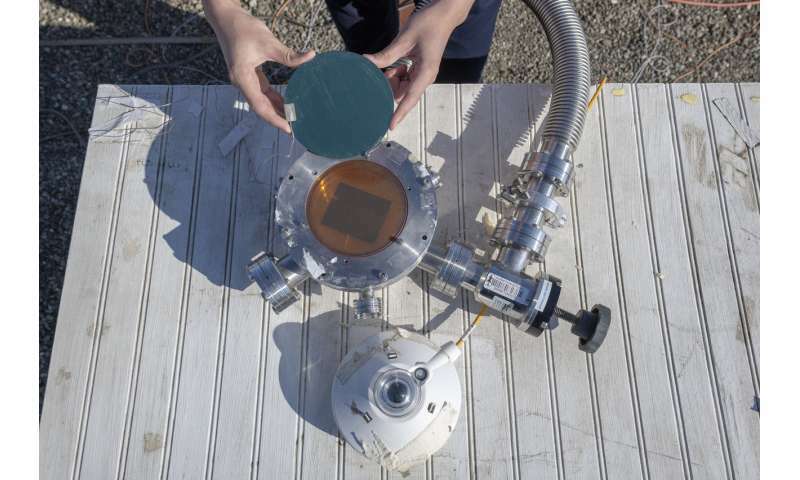 The team demonstrated that the combined device can simultaneously provide 24?C in solar heating and 29?C in radiative cooling, with the solar absorber improving the radiative cooler's performance by blocking heat from the sun. 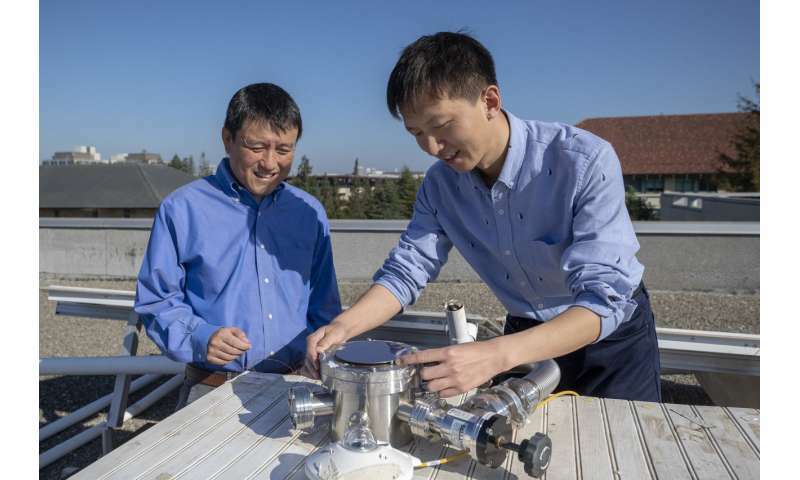 "On a rooftop, we imagine a photovoltaic cell can supply electricity while the radiative cooler can cool down the house on hot summer days," says Chen. While this technology appears promising, Chen believes there is still plenty of work to do before it can be scaled up for commercial use. While the vacuum enveloping the device could be scaled up with relative ease, the infrared-transparent window made from zinc selenide is still too costly, and the solar absorber and radiative cooler could be designed from cheaper high-performing materials as well. Chen thinks it is also important to test the use of photovoltaic cells in the place of a solar absorber—an idea which has yet to be demonstrated. But in spite of all these practical challenges, the team believes this research demonstrates that renewable energy has even more rooftop potential than previously thought. "I think this technology could potentially revolutionize the current solar cell technology," says Chen. "If our concept is demonstrated and scaled up, the future solar cell will have two functions in one: electricity and cooling."